Current guidelines say that children should participate in at least 60 minutes vigorous physical activity each day however with the demands of the national curriculum and time needed to be given to other core subjects teachers’ timetables have been stretched and filled like never before. On the other hand it has been proven that physical activity before and during lessons helps to improve academic attainment and improve on task behaviour. So how can schools and teachers reach this target of 60 minutes whilst providing appropriate time for other subjects? We aim to make classrooms and the primary curriculum more active whilst also providing opportunities for meaningful physical development, not just opportunities to dance and move. By providing more variety in movement and activity we have found that children’s interest is maintained and that children work harder both physically and mentally in our Active Understanding Breaks compared to other methods. Our 5 Minute Active Understanding Breaks are designed to develop core athletic movements, raise heart rate, aid coordination and provide quick mental breaks for children. As well as this we have also incorporated active games meaning that teachers can use physical activity as part of mini plenaries or review sessions. Our product is designed to be flexible for teachers to use as part of any subject as the games can be adapted as part of any lesson. The content comes as a series of images so that teachers can easily slot them into any Smart Notebook or Powerpoint presentation. 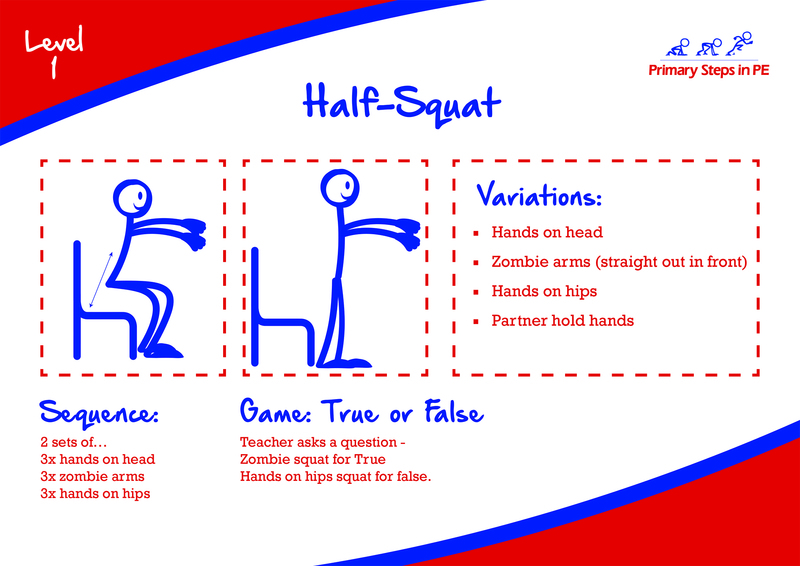 We have split our content into 5 fundamental movement skills – Squat, Lunge, Balance, Core Strength and Coordination. For each of these areas there are 5 levels of difficulty. We encourage teachers to have a look through all levels to show a progression of movement but also give them access to all the games and challenges. Active Understanding - Includes all 25 slides featuring different movement variations and 25 active games to play in classrooms.